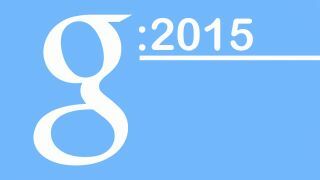 2014 has been a big year for Google. It kickstarted the smart watch revolution, we've met the Nexus 6 and Nexus 9, and Google has shown us what the future of mobile looks like with Android 5.0 Lollipop. It's just getting started, though. As well as all the annual updates we've come to expect each year, 2015 will see Google have a crack at some entirely new platforms, as well as having another go at ones it has tried and failed to exploit in the past. Want to know more? Read on to find out all the new advancements to expect from Google HQ in 2015. One thing to look forward to even if you have no plans to buy a new phone or tablet next year is the next major version of Android. Will it be Android 5.1 or Android 6.0? Is Google going to go for a Malteasers tie-in, or will it be called Marzipan? We just don't know yet. Traditionally the major new versions of Android are shown off at the Google I/O developer conference, which in 2015 is to be held between June 24 and June 26. That's a bit of a long wait, but far from a full year. As Android 5.0 introduced a brand new UI style, called Material, it seems likely that the next main version with focus on altering the feature set rather than the look. That doesn't necessarily mean adding loads of the things, but could well involve redesigning things like multi-tasking, how notifications function and how the back-end performs. In time we're sure to see some leaks that tell us a bit more about what to expect. But for now it's largely a case of guess-work, beyond predictable improvements to integration with things like Android Wear watches, Android TV and Chromecast. At first Google Cardboard seemed like a joke. It's a cardboard VR headset into which you slot a Nexus 5 to get an Oculus Rift-style experience on a shoestring budget. The only 'meat' to Cardboard is a pair of plastic magnifying lenses that trick your eyes into thinking you're seeing a much larger display than the 5-inch one perched just in front of your eyeballs. Google has really beefed-up the Cardboard from the back-end recently, though, making it much easier to see which apps offer cardboard support. Support for devs has increased too, with a new SDK for Unity meaning VR Cardboard games will be relatively easy to make. Looking to VR also helps to explain some of the design decisions in the Nexus 6 too. The large 6-inch OLED display is just perfect for a phone-based VR headset, with the response times needed to avoid the motion sickness caused when using an LCD screen. It seems highly likely that Google will release a more upscale headset frame in 2015, one designed for the Nexus 6, or at least encourage third party manufacturers to start producing their own. It can't let the Sony Project Morpheus and Oculus Rift have all the fun. 2014 saw Android cram its way into watches in the form of Android Wear. But it's not stopping there. In 2015 it's going to start being used in cars, courtesy of Android Auto. The system has already been shown off at the LA Auto Show, and it'll feature in the 2015 edition of the Hyundai Sonata, among other models. Rather like CarPlay, the Apple equivalent, it hooks up with your Android phone and is operated using a big display on the main control panel of the car. The main use for it is pretty obvious: GPS navigation. Like Android Wear, Auto uses a clear and simple interface that takes cues from Google Now, with basic apps and notifications. Using your phone's data connection, it offers full voice recognition to avoid you having to take your eyes off the road, letting you control music with your voice and more. Absolutely loads of car makers have signed up to work with Google on Android Auto, including leviathans like Volkswagen, Renault and Ford. We'll have to wait to see the exact models it turns up in, though. Before you get too excited, don't expect to see it in your basic supermini as it'll likely command a fair premium, just as Apple CarPlay does in the few models that offer it. Tablets may cost pennies these days, but getting a big screen in a car costs a fair old whack. Google Glass is the nerd core show-off gadget of choice for many flush geeks, but soon it may be a lot more, well, normal-looking. At present, Glass uses a chunky plastic prism onto which the glasses' display is projected, giving that iconic Google Glass look that makes some people want to punch Glass owners in the face. Not to mention mug them down a dark alley. However, the next version is likely to use a smaller display unit, and a smaller 'brain' and battery. Google Projects' Babak Parviz talked in 2014 of their intention to make Google Glass 'disappear' on your head, and while Parviz has since scarpered off to Amazon, we assume he wasn't the only one to have this aim. Getting smaller and neater is a natural progression. Every year chips miniaturise and get more effective, enabling smaller components across the board. We also reckon the 2015 Google Glass may be cheaper. As it sheds the early adopter 'Explorer' tag, Google's going to want to make it a more accessible gadget all-round.